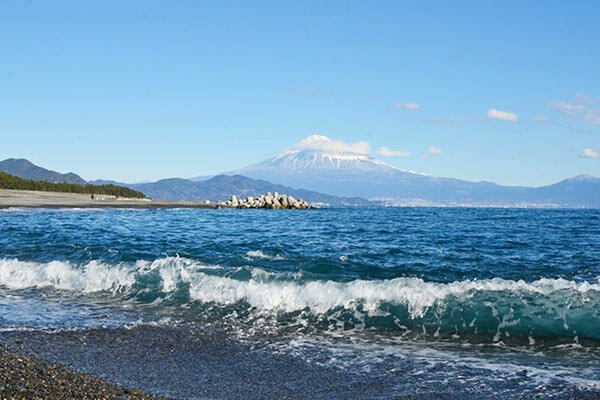 Pine Grove on Miho is listed as a UNESCO World Heritage Site (selected in 2013), along with Mount Fuji (refer to #095). 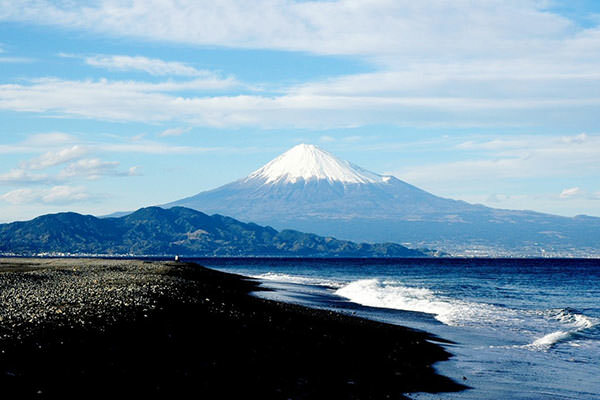 It is regarded as one of very important factors of the beautiful scenery around Mount Fuji. More accurately, the name on the list is "Miho-no-Matsubara Pine Tree Grove". The word "matsu" is "pine" in English (refer to #072) and "bara" is "field", respectively. The pine grove on the Miho Peninsula overlooked by Mount Fuji has been inspiring many artists since ancient times.